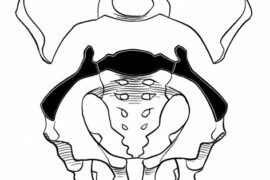 Pregnancy-related pelvic girdle pain: One hot pack too many?! Home Pregnancy-related pelvic girdle pain: One hot pack too many?! Don’t get me wrong- a nice hot pack can feel amazing, but too many pregnant women are being given a hot pack and told that nothing can help them when they present for treatment for pelvic girdle pain (PGP). They are often told “your pubic joint is separating”, or “ your pelvis is unstable”, which as we can imagine, are scary concepts to hear. Advice often consists of: “if it hurts, don’t do it”, “ it will probably get better after your delivery”, “ you should keep your legs together”, which sadly creates a sense of fragility, hopelessness and fear. This is such a shame as pregnancy related PGP (PPGP) can be improved signiﬁcantly during pregnancy, as well as in the postpartum period. PPGP is a common condition experienced by approximately 16-25% (Kanakaris) of pregnant and postpartum women, although this is likely underreported and dismissed as a normal consequence of pregnancy. It is characterized by pain in the areas of the pubic and sacroiliac joints and is often experienced in the groin and inner thigh regions, the low back and buttocks and the sides of the hips. PPGP is aggravated by maintaining positions such as sitting, standing and lying for long periods and changing positions can also be painful. It is thought that a combination of hormonal, mechanical and motor control factors play a role in why some women develop PPGP (European Guideline 2007). No association between breastfeeding and increased or prolonged PGP has been found; in fact, Bjelland found the reverse to be true in her study. Also, the myth that women with PGP should avoid vaginal deliveries has been dissipated by Bjelland, who found that women with PGP had a 2-3 fold increased risk of severe PGP postpartum and persistent symptoms after a cesarean section when compared with women who had vaginal deliveries. Prognosis for women with PPGP is mostly very good; only approximately 6-8 % (Kanakaris) have persistent symptoms after a few months postpartum. However, PPGP can have a signiﬁcantly negative impact on function and mood and overall conﬁdence in being able to perform daily activities including those related to work, childcare and the household. Pregnant women with PGP are three times more likely to have depression than those without (Bjelland). Also interesting, is the association of catastrophizing with prolonged recovery of PGP and how exaggerated negative thinking and fear avoidance beliefs are associated with lumbo-pelvic pain in pregnancy. This brings us to the realization that central factors are indeed a part of the whole picture and knowledge of this is important to physiotherapist and patient alike. This is why we need to identify women with PGP earlier and offer good interventions during pregnancy, to avoid the path of chronicity. It is very interesting to consider what happens to those women who do not improve. They are very likely the same women who present for physiotherapy years down the road with persistent back and or groin pain. They often do not connect the pain they are currently experiencing with pain experienced in a past pregnancy, but once the discussion starts, there is a realization that the pregnancy related back and/or pubic pain never really went away. Some of these women present with chronic pelvic pain and have experienced a plethora of investigations and interventions that are mostly gynaecological in nature. A woman, of course, can have many different conditions at the same time; both endometriosis and PGP, for example. However, as the physiotherapist in an interdisciplinary Chronic Pelvic Pain Program, I believe the PGP component has often has been missed and therefore not addressed. PGP may be a small or large piece of the pain puzzle for these women, and addressing this is helpful in determining that. Cecile Rost, a Dutch physiotherapist, developed Rost Therapy, a successful treatment program for pregnant and postpartum women with PGP which was based on principles that challenged the previous treatment paradigm for PGP. Cecile’s approach addressed not only the mechanical and motor control components of the condition but also the central components, and I believe this is why it is so effective. 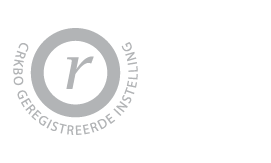 Cecile Rost completed research on PPGP which has been published in Spine and Acta Gynecologica and she has written a book called “Relieving Pelvic Pain During and After Pregnancy. As physiotherapists, we are in a privileged position to help women with PGP, to help improve pain and function in their pregnancies, but also to prevent the pattern of chronicity down the road. We are now understanding that the role of pain education in all patients is very important, not just those who present with chronic symptoms. Giving pregnant and postpartum women pain education is a part of effective treatment of PGP, and integrating education with effective treatment can help prevent or break a cycle of chronicity and change the lives of many women and their families. Catastrophizing during and after pregnancy: associations with lumbopelvic pain and postpartum physical ability.! Olsson CB1, Grooten WJ, Nilsson-Wikmar L, Harms-Ringdahl K, Lundberg M.catastrophizing in relation to pregnancy seems to be associated with lumbopelvic pain and postpartum physical ability. Olsson CB1, Nilsson-Wikmar L, Grooten WJ.nd that catastrophizing during pregnancy was associated with more persistent symptoms. Olsson et al Disabil Rehabil. 2012;34(5):416-22. doi: 10.3109/09638288.2011.607212. Epub 2011 Oct 12. Determinants for lumbopelvic pain 6 months postpartum. Acta Obstet Gynecol Scand. 2009;88(4):378-85. doi: 10.1080/00016340902763210.! Lumbopelvic pain associated with catastrophizing and fear-avoidance beliefs in early pregnancy.! Olsson C1, Buer N, Holm K, Nilsson-Wikmar L.
Gutke, Annelie RPT*; Josefsson, Ann MD, PhD†; Öberg, Birgitta PhD*Pelvic Girdle Pain and Lumbar Pain in Relation to Postpartum Depressive Symptoms Spine: 1 June 2007 – Volume 32 – Issue 13 – pp 1430-1436 doi: 10.1097/BRS.0b013e318060a673. Depression and PGP- in women with lumbo-pelvic pain depression was three times more prevalent.